As we enter a new decade, I reflect over the past ten years and realize the large number of advances that have occurred in surgery. Minimally invasive techniques have become commonplace. Natural orifice and single incision laparoscopic surgery are being explored for many operations. Robotics is widespread. 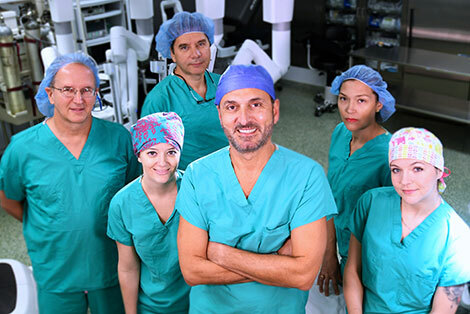 As the faculty and staff of University of Florida College of Medicine – Jacksonville Department of Surgery embrace these advances, the outcome is better patient care. We are proud of the new and expanded services now offered by the Department of Surgery. We have one of the only natural orifice skull-based surgical programs in the area. Our bariatrics program is unique as it offers all methods of minimally invasive weight loss operations including roux-en-Y gastric bypass, gastric band, and gastric sleeve. Our multi-disciplinary approach to breast care and thoracic oncology provides patients with a "one stop" option with excellent care. Vascular surgery has expanded its interventional and endovascular services. Urology’s research programs continue to grow and our trauma/acute care surgery program continues to be an important resource for seriously injured and critically ill surgical patients. We continue to attract highly accomplished and motivated individuals to our residency training programs. Included in the newsletter are more details about our programs, news about our faculty, information about our new ethics curriculum, and clinical information about the art of surgery. I hope you enjoy it.